After you hand in an Enquiry on Results form, your test will go to the IELTS center in England to be rescored by graders, there. On the form, you can choose which sections you want to have rescored. Whether you want only one section rescored or all of them, the cost is the same, and it takes the same amount of time, so there is little reason not to request a rescore for all of the sections. The cost of send an Enquiry on Results form to challenge your IELTS score depends on the testing center. However, many charge the same amount for an IELTS rescore as they do to take a new test. This is often around $210. You should contact the testing center where you took the exam to find out the exact price, though. 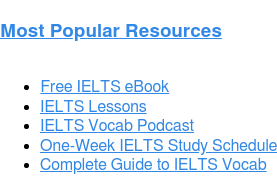 469 Responses to How Often Are Requests for an IELTS Rescore Successful? Should I resit the test or should I go for revaluation as I only need 0.5 increase in writing? Please advise. First off– WOW! Those are some impressive scores! 🙂 I would suggest going for re-evaluation, since an increase of 0.5 isn’t uncommon when you ask for score review. However, a boost to your score is far from guaranteed. So I recommend also preparing for a retake, just in case, while you wait for your rescore results. now should i go for recheck for my speaking? Did you go for a recheck? Hi Omer.Did you went for recheck?Even its the same case for me. That depends. Which country are you hoping to get a skilled visa with? If you’re referring specifically to the Canadian Federal Skilled Worker Program, there is no absolute requirement for IELTS scoring. Instead, you IELTS scores give you a certain amount of migration “points,” while work experience, level of educaiton,e tc… also contribute points to your migration score. I need 7 in writing, should I go for reevaluation. I’m afraid that we can’t provide any more advice than what we already wrote in this blog post. I recommend that you read it carefully and take a look at some of the earlier comments before you make any decisions 🙂 With that said, it is possible to get a higher score in Writing after re-evaluation, but it’s not guaranteed. I received 9s for Reading, Listening and Speaking and 7.5 for writing, which shocked me, to be honest. If the recheck is lower than the original decision, you are given the new mark? It is possible to get a lower mark on recheck. However, if you really are convinced that you earned more than a 7.5 in your Speaking interview, it may be a good idea to apply for a recheck. Rescores are designed for just this situation: when your score is shocking, you feel there may have been a mistake, and you want to see if that mistake can be caught and corrected. I am trying for Canada PR which requires LRWS 8,7,7,7. Is it a good idea to apply for re-evaluation to increase 0.5 in reading? First, sorry to hear that your scores are so close, yet not quite at the cutoff for reading That sounds frustrating! Did u apply for remarking and what was the result? Hi, my IELTS score is Listening 8.5, Reading 7.5, Speaking 7.5, Writing 6.5. I need 7 in writing. Should i try for EOR. Can it make a difference. Hi abha…did u apply for the EOR ? Hi did you re apply for correct? Did it really help? Cas I have a similar issue with my case. how much it costs u Abha for re-assessment? For the best information on the cost for a re-score, I recommend contacting your testing center directly. How was your final result? If possible, I would get your ideal writing details. I am going to ask my teacher about the problem. He was the IELTS marker. My ielts score is r9 l9 s8 w7.5 I need 8 in writing should I go for recheck ? how did you score 7.5 in writing..can you provide some tips? I thought I would share some positive news on a remark as I referred to these posts when debating it. First Test Results: L9, R8.5, W7.5, S 9. I wanted 8’s across the board for the 20 points Superior English. Asked for Writing remark and it got upgraded to an 8, it took a week to get. Very pleased. The road to IELTS website for a months subscription is all I used. Are these your scores for academic or general training ielts? Thanks for sharing your score. How do you find the results of your remarking? Through an email or through the post? Good question! That likely depends on the kind of teaching you want to do. Employer and government requirements in the UAE can vary depending on the teaching job. My advice is to check the job adverts of prospective employers, and to possibly also contact UAE immigration with specific questions. Could you please tell us at which center you took the test/applied for remark? Should I go for rechecking? Hello got my results today LRSW 9,9,7.5,6.5. I need 7 in writing. Do you advise for a record? A 0.5 increase is definitely possible with a rescore. Think carefully about that, though. Rescores are most likely to succeed if an actual mistake was made in the original scoring. So it’s best to request a rescore only if it seems possible that your original 6.5 Writing score is inaccurate. If your writing score dropped, there’s a chance you may have received your lower score in error the second time. I’d say a rescore request couldn’t hurt in this case! overall: 8.5, Listening:8.5, Reading:9, Writing:7.5, Speaking: 8. I need 8 in writing as well but I’m worried if I get 7 in rescoring instead of an 8 then I will have a bigger issue. Can you advise in rescoring there is a possibility to get a lesser score than what I got originally? Could u pls share ur strategy for ielts. I wan 8777 .i want to immigrate to Canada. Pls how to write so i can get a 7 or above. Thank u. Pls do reply. Hi everyone! I took the exam 27th October 2018. Here are my results LRWS 8.5,7.5,6.5,7. I need to get 7 in writing for I am trying to apply in Canada as an Immigrant. Do you think I should go for a recheck? Please let me know. If you are giving for re-check . Even my scores are LRSW 8.5,7.5,8,6.5. It is very annoying to look at the scores. Very confused on what would be my next steps. I have attempted IELTS BC thrice. Every time I have a 7.5 in listening with rest modules ranging from 7.5 – 9(reading). Is there a possibility of getting an increase by 0.5 in listening considering I am confident? And alternatively even getting the Writing evaluated so if there’s an increase in writing and not on listening I may still qualify for a return. Also, what if the score is reduced than original – can this happen ? In either case of increase or decrease in marks does IELTS refund or only in case it goes higher ? Requesting a rescore does not guarantee a score increase, and in some cases, it can even result in a score decrease. It is also possible that your score may not change at all. 🙂 With regard to refunds – you’ll only get a refund if your band score changes. If there is no change, then you will not receive a refund. Hi manish did u fill in revaluation for listening. This is ultimately a personal decision, but make sure you are prepared to deal with the financial commitment that a re-score will require of you. Based on the results for the rest of your test, I can see why you are inclined to ask for a re-score. But keep in mind that you are looking for a change in a skill that usually does not see a change (reading and listening are way less likely to change). I wish you luck making your decision! This is a personal decision and we really can’t provide any more information than what we already give in this blog! I recommend that you read some of the other comments and see if there are any comments that can help you to make this decision. Good luck! Hello Gina.. Did you apply for recheck in Reading part. I have a same case.. Got 6.5 in reading, i expected 7-8 in reading. Last tine it was 9 for me. So i want to understand and see if there are any cases where recheck got successful for Reading or Listening. Even I have got reading 6.5 compared to other modules , where in I scored 7 each. Please let me know if you found success in reading re-evaluation . Did you apply for re-mark on reading? I am having the same issue now, I had a really good feeling about my reading test. Was expecting around 7.5 atleast, but I got only 6. I want to apply for Re-mark on reading. I would like to ask if theu will refund your money if a request for EOR has passed the deadline? I’m not sure if I understand what you mean by deadline. Has the IELTS EOR process taken more than 8 weeks? I’ve never heard of getting a refund for EORs that take too long; I recommend that you reach out to your testing center directly to ask them about the EOR and explore your options. Good luck! Hey prabhjot you got 5.5 band in writing after recheking bro ?? I need overall 6.5 to apply for masters in Canada,for that i need 0.5 in any of sections. should i go for remark or resit for IELTS? please suggest me what will be wise. Since 2 of your sixes are in Listening and Reading, I’d say it’s probably not worth it to ask for a rescore. As mentioned in the article, Listening and Reading scores are almost never changed. The odds of getting both of those changed and getting a successful rescore in Writing are very low. But raising your score form a 6 to a 6.5 after retake is actually pretty common. So I’d say go for more study and a retake. You’ve got a good chance of success if you do it that way. I really need 7 more speaking. Is there any chance that a revaluation will help me. What do you think ? Hi i appeared in ielts on 3rd march 2018 nd got lis8 ,read7, speak7 nd writing6.But i needed w7 for 8777 for PR.It was my 2nd attempt before i got lis7.5,read6.5,speak7,writing7.Should i go for EOR plz reply i cant decide??? How frustrating! I think asking for a rescore could be a good idea in this case. If you got a 7 in IELTS Writing last time, there’s a chance that 7 could be your true level, and your score of 6 is a mistake that can be corrected. Of course, rescores are never guaranteed to work. So I also recommend studying for a retake, in case the rescore doesn’t do what you need it to. 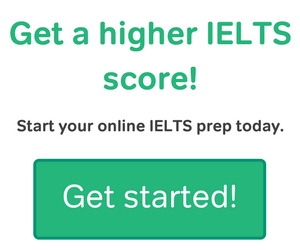 Your IELTS scores are quite impressive overall, and it seems to be that another resit also has a good chance of getting you what you need. I have given test on same date and got Speaking 8, List: 9, Reading: 8 and Writing 6! I’m sorry to hear that you got such an unexpectedly low score in IELTS Writing. That sounds disappointing, especially given your level of professional English writing skill. You no doubt want to know what went wrong. 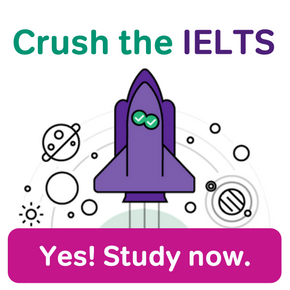 One possibility is that your IELTS essays, while they showed a lot of your skill, didn’t satisfy the highly specific requirements for IELTS essay scoring. I’ve seen that before. It really is possible to be an excellent writer but still get a poor score because you failed to meet one technical requirement or another from the official IELTS Writing rubrics. Another possibility is that you actually did do an excellent job in IELTS Writing, but that there were scoring errors. In that case, a rescore would detect those mistakes. So getting a rescore may help you determine whether or not there were errors on your part or on the part of the IELTS. If you absolutely need a higher score than 6 on your test, however, I would recommend both requesting a rescore and studying for a retake, with careful attention to the specific rules and standards of IELTS essays. That way, if your rescore doesn’t change your Writing marks, you’ll still have a very good chance of a much better writing score the next time you sit the exam. Sorry to hear your scores aren’t quite where they need to be, even after a second attempt. That sounds frustrating. It’s very rare for rescore requests to cause changes in Listening or Reading. There is a chance of improvement in Writing based on rescore. In that case, when there are improvements, the score will increase by half a band or sometimes a full band. Unless a small improvement in Writing and no change in Listening is acceptable for you, I’d say you should go for a retake instead of a rescore. Hi Nida , did you applied for rescore ?? You and me are in same situation with same scores. Did your scores got increased after applying for remark?? I need writing 6 please advice is it worth of re -checking? I got 8.5, 7, 7 and 6.5 in LRWS respectively. I need 7 in each section so is it worth to go for a rescore in speaking. Mine is almost the same. Did revaluation on Speaking help? Pls confirm me at the earliest as I have got my results today. This would be of a Great help to Me. how much cost of ielts rescore plz tell me? You should contact your testing center for more information on fees and for the Enquiry on Results form. Good luck! Hlo..i got 6.5 band in ielts..L-8,R-6,S-6.5 but my writing band is 5.5 and i need 6 band in writing..please sugest me should i fill EOR? I was really surprised to get a 7 in Writing since I did really well, I met the word count and used (DID NOT OVERUSE) advanced vocabulary. It was particularly surprising because I did the CPE and got an A (equal to C2) and I´ve published articles. Should I get my test remarked? first of all, congrats on a strong IELTS score! I know you aren’t happy with the 7 Writing score, but regardless you took a difficult test and got a good score! This is a tough decision, and it’s one that you should consider fully before deciding. It sounds like you are pretty sure that you should have gotten a stronger score, so you might be one of the people who does get an improved score. However, consider whether the cost and time associated with the rescore is worth a slight increase in score–after all, most people only improve by a half a point, if at all. You should also consider whether this half a point is really important to your target schools. If you already met the requirements for the university, it may not be necessary for you to get a rescore, especially if you will take other tests that allow you to showcase your writing skills. Also keep in mind that a rescore can take 6-8 weeks. I can’t tell you what to do in this situation, but I hope these considerations help you to make the best decision for yourself! I got really schocked by the writing score, although the speaking was below my expectation too. I had done many tests before and my writing was always either 6.5 or 7 in both general and academic modules. This time I practiced more and more, as I needed 7 in writing and I was really happy by my writing in the exam and I was completely sure I would get very good result, so the result was scocking for me. There are some rumors in my country that the writing scores have decreased intentionally in the recent months, so you have to reseat the test several times. As I am pretty confident about my writing in the exam, would you suggest me to request a remark to get the desired results or not. How likely is it to have 1 point change in my writing score? Thank you a lot. First of all, congrats on taking the IELTS and for getting a solid score. I’m sorry to hear that you aren’t satisfied with the writing score–I know it’s frustrating to feel confident in your abilties after working so hard and still not reach your target score. We haven’t heard any rumors about IELTS making the writing section more difficult on purpose. The decision of whether to go for a reevaluation really depends on your personal situation and confidence in your writing skills. A score increase of .5 isn’t uncommon, but getting a full 1 point increase is more rare. If you really need to reach that 7 score for writing, however, I would recommend that you study for a retake while waiting for your results. It can take 6-8 weeks for a score to be reevaluated, and you don’t want to wait if you must re-take the exam! Would revaluation help me in writing? More often than not, when rescores are successful, they improve your score by just a little. Since you only missed your Writing goal by 0.5, I’d say there’s a chance a rescore could help you. But remember– rescores aren’t guaranteed. If you request a score review, prepare for a retake wile you wait. It’s likely that you can boost your IELTS Writing score up to 7 with some additional study, if the rescore isn’t successful. Hi Ekta, my scores are also similar, writing is 6.5, i am planing to put reval. Did you apply for revaluation? what wast the result. Hi…simranjeet… did your score increase after revaluation? Why are you pressing more towards a exam retake.looks like you will benefit from someone’s retake. When someone is pretty confident that there retake will help Them get a higher. Score they should go for it. In this post, we are trying to provide the best information to students who are trying to make a difficult decision. The decision of whether or not to send your test for re-scoring is a personal one, and each individual must make a decision on his/her own. There is no guarantee that their score will increase if they send it to be re-scored, but we do know that students tend to improve their scores when they re-take the test. I got my IELTS test result couple of days ago. I scored an 8 overall with L9 R8 W6.5 S7. I need a 7 in my writing. I’m planning to give my writing section for a revaluation. Do you think I’d get what I am hoping for…? Otherwise, I’ll simply have to retake the test again, just for losing a 0.5 score. I have got my results today. I need at least 7 in each with an over all 7.5 score. I need your advice as I want to go for a recheck. Does it worth? I heard that when you have higher bands in other skill,the examiners do a recheck by themselves .is it true ?is it useless to go for a re-evaluation (in my case)? I’m afraid we can’t provide any advice other that what we already wrote in this blog post. I encourage you to read it carefully and look through older comments to see if you can find any useful information! However, I can answer your question about lower and higher scores. Each section is scored independently of the others, so it’s not true that some sections get a second review or special treatment because of a higher score on other sections. The IELTS is standardized, which means that the scoring system must be the same for every single applicant. What can I do please suggest me? I sat for exam on 9 February 2019 and got result yesterday. My score is s6,l5.5,r5 & w5 and over all 5!5. I need only over all band 6. This is the second time I attended. Should I apply for rescore. Please suggest me. I would honestly advise against a rescore in this case. It’s rare that a rescore will change your Reading score. And it would be very unusual for a rescore to successfully change your scores in three whole sections of the IELTS, which is what you need in order to have a 100% chance of a 6. (Only your Speaking touches that minimum, and a 6 plus a 5.5 in three other sections still would probably get your score rounded down to a 5.5.) Studying for a retake would probably give you a better chance at the amount of score improvement you need. Hi I got my result last week . I scored L 8.5, R 7.5 W 6.5 S 7.5 . My exam was conducted by idp in India . Is there any possibility of getting an increase of .5 in my writing ? I have received my result yesterday and very much disappointed with writing score. W – 6 and I need 7. Is it good to go for Reevaluation? Any chance of increase? Like what is the success ratio? While it is totally possible to get a 6 raised to a 7, it is unlikely, and your time (and money) would likely be better spent on a resit. That said, the choice is ultimately yours, so we wish you luck regardless of what you choose! good pm. As I understand,from my query with the British council on EOR , either it will change or stay the same. I asked to confirm if theres a chance it will get lower ,but they assured that either it will ho higher or no change at all. Can someone kindly share their experience from remarkable ng if this is true? Can scores downgrade on an EOR? Hi I would like to get your opinion. I recently got my ielts score r-8.5,l-8.5,w-6,s-6.5.. I need a band score of 7 in my speaking do you think it’s worth to try to do a recheck? Hey. I got 8.5 listening. 7 rellwriting. 7 speaking. And 6m5 in writing.. I need .5 more in writing. I had a good exam. I wrote it in pencil. I doubt IDP.. as it was my first attempt. Should I apply for rescore. Hiii, got my ielts result today. Its R-8.5,L-8,S-8.5,W-6 overall 8. Shd i go for eor in writing or reappear for test. As i was quite confident about my reading performance,such a low score of 6.5 came as a big shock to me.However ,later i came to know about a blunder done by me that i answered 6 of my true false and not given questions by writing their initials T F and NG only in the answer sheet.I am quite upset by my this blunder and want to apply for revaluation now.I read somewhere that the checking is done manually in remark and once a boy who had done same mistake had got improved bands after remark. Kindly suggest should i go for remark and is there any hope for me now?? You should go ahead by all means, I believe you should go ahead and will get an upgrade. Did your score change after remarking ? Did ur score in reading increased? R: 9, L: 8, S: 6.5, W: 6. Three months ago I took CAE advanced test and I got 197 in Speaking AND writing (equivalent to a 7.5 in Ielts), 185 in Speaking (equivalent to a 7 in Ielts) and 177 in Listening (6.5). I’m thinking of asking for a remark, because how is it possible I lost 1 1/2 band in Writing and 1/2 in Speaking??? I would really appreciate your advise, thanks! I appeared for GT module test on Oct 14, 2017. Do you suggest that I should apply for revaluation? If I get 7 in writing, it increases my chances of a higher score for Canada PR. Earlier in Academic Training I had got 7.5 in writing module. Is it advisable to go for recheck? Also, I have heard somewhere that if the band score has a difference of 2 in different modules, it is automatically rechecked. Is this true or just a myth? I am considering reevaluation. Is it a good idea? I am hoping at least 7 or 7.5 in writing. How often do they change writing scores? so i don’t know what i did wrong, can you tell me if there is something i am missing, and if i should get my exam remarked ? Even flawless native speakers aren’t guaranteed a perfect score on a test like the TOEFL or IELTS. Part of it (a large part, don’t get me wrong) is your English ability but you are also actively tested on your adherence to the format and expectations of the raters. I suspect that while you probably produced great text/speech, you did not perfectly respond to your prompts as asked, and this affects your score. It’s frustrating but very common! I applied for re-evaluation for writing as I need 7 in writing. While I am waiting of my re-evaluation result, I have also undertaken another Ielts exams due to time constraint. Just someone mentioned to me today, that I have wasted money on re-evaluation as now re-evaluation result will not have any value since I already appeared for IELTS exams again? To my knowledge, you can still get an IELTS rescore even if you took a new exam while waiting for the results. There’s no mention of a retake negating a rescore on the official IELTS web page about score review. Moreover, a new IELTS score doesn’t cancel an earlier one, and a re-score would still count as an earlier score. I received similar score results and wanted to check if you have received your results from the re evaluation. Did your writing score improve. Did you re evaluate the speaking section and is there any increase in the score? The reason I was very surprised is because of the Speaking part. I used lots of high-level words (not overuse) and I went in depth in all my answers. Overall. my performance was far better than last year when I got 7.5 (how can they decrease my score by one band?!). I have applied for a EOR and i have been told it should take approximately 2 weeks. I feel like IELTS is a rip-off more than an accurate testing-system. Can you please give me your opinion? I’m sorry to hear about your scores–I know it’s disappointing to see your scores decrease on the second round after studying and working so hard to improve! It’s really hard for us to make any sort of analysis on your test results, however. We do sometimes see decreases in band scores that are caused by many things, including test stress and overconfidence, so it’s hard to know what might have happened here. I know that’s not the answer you were looking for, and I’m sorry about that! I hope that your EOR is successful! I need only .5 band in speaking . is EOR is a good option for me ? I know that this is a difficult decision, and it’s one that we can’t make for you. You should consider your test and think about whether you think you should have gotten a higher score. It’s not guaranteed that you will get a higher score with a retake, so we only recommend that students do it if they are pretty confident that they should have gotten a better score. I’m sorry this isn’t more helpful, but I wish you the best of luck! hello i got a score of L8, R6.5,S6.5,W6. I need a score of 7 in writing and speaking. is it a good idea to get a recheck. This is a personal decision that you have to make, and I encourage you to read this blog post (and other comments) carefully as you make your decision. I wish you the best of luck! My previous results oin my first attempt was L 7 R 7 S 6.5 W 6 . I took the exam with not much preparation. However, on my second test, I got L 8 R7.5 S 7 W 6. This time I prepared more on my writing and speaking, especially in writing( not so much on the other two ) . I wrote essays everyday and got it checked online and sometimes by my friend (who had an 8 in writing). My grammar, vocabulary, paragraphing was a lot better compared to the first according to my friends and my self assessment; nevertheless, I still got a 6 after all the preparation i have done. My friend told me that I should get an EOR. It is really confusing, because on my first attempt, admittedly, my task 1 and 2 was cr@ppy. I knew that i would fail. On my 2nd try, i felt good about my essays. I even got the chance to proof read it, unlike my first ; however , I still got a six. It is possible for a band 6 in writing to change to a band 7 in a rescore, but it’s not that common. Ultimately, this is a personal decision that nobody else can make for you! I encourage you to consider your target score and what is acceptable for your application. I’m sorry that I can’t be more helpful! I encourage you to read this blog post and the other comments carefully as you make your decision, I wish you the best of luck. Did you apply for a recheck? Was there any difference? Hi I got my Ielts GT results today L 8.5 R 9.0 S 8.5 W 6.5. I need a 7 for each. Would it be worth it to try a remark? I was really thinking I’d get a 7 for Writing. Thanks. If your general performance is high and all you need is a 0.5 boost in one section, it’s an ideal time to take a rescore. There are no guarantees of course. But even if your rescore is unsuccessful, with your high English skill, you can likely get to a 7 in writing in a retake, should a retake become necessary. I think that’s absolutely worth trying. There’s no guarantee, but .5 isn’t much of a change, and a rescore just might do the trick. Should I go for EOR? It definitely is worth a shot in this case. Nothing is guaranteed, of course, so you should also prepare for a retake just in case you need one after the rescore results. My first IELTS attempt was in June in Ethiopia. At that time my speaking score was 6.5, L-8, R-7.5,W-6.5. I took my second IELTS test on 11th November in Uganda because I needed 7 in writing but I was given a score of 5.5 in speaking despite the fact that I have shown visible improvements from the last time I took it. My concern is that if it is marked by the same person who interviewed me during the speaking test, his judgment might not be fair because Ugandan people speak English very well and the Ugandan examiners might raise the assessment level. Hence, my question is can get a remark from the main test centers outside Uganda? That’s a really good question. Sometimes re-scores are done at a centralized location outside of the country where the test was taken, and sometimes they’re done in country. Obviously, the smaller the country, the more likely it is that rescores are done out of country. Uganda’s mid-sized, so it’s a little hard to say. To see if your rescore will be done out of country, check with your Ugandan test center. They should know the answer for that. Also, even if you fell a little short of Ugandan standards, congratulations on test scores that are very impressive over all. From the sound of things, I bet you can bounce back in Speaking, even in Uganda if you need to. Really disappointed with my score in W and S. I thought my test went off really well. Should I apply for remarking? That depends on just how disappointed you are in W and S. If you only fell a little bit short of the score you hoped for, then a rescore is more likely to get you what you want. A boost of .5 or 1 is often possible in a rescore (but not guaranteed). On the other hand, if you’re looking for a 1.5 increase or more, a rescore is less likely to get you to where you want to be. Either way, I’d say you should plan for a retake just in case. That way, if you decide not to do a rescore or if you get a rescore but it doesn’t increase your points, you’ll be ready to retry the whole test. Hi. Thx for the reply. Need a .5 increase to get 8. I need my to submit my TRF after 12-14 weeks, so going in for EOR in W and S modules. Fingers crossed….will post the outcome once I receive the result. Did you get your EOR result? Was there a change? I took ielts through idp i got 6.5 in speaking but after that i took by British council i got 6.0 which is really disappointing..i apply for recheck but the result was unchange and i lose 6500rs..they play with the life of students..never go for ielts ..better to take gre or tofl. I’m sorry to hear you had such a bad experience taking the IELTS. That definitely sounds frustrating. I have a few thoughts on your comments and your situation. First, test-takers should know that IDP and British Council adminsiter the exact same IELTS test– they don’t have their own unique versions of the exam. However, IDP and BC can charge different fees. Second, I really do sympathize with your frustration with fees and the complexity of re-scoring. But know that the GRE and TOEFL also have fees comparable to the costs of the IELTS, and have their own sometimes-complicated rescore processes. With that said, there definitely are some students who find the TOEFL easier than the IELTS. 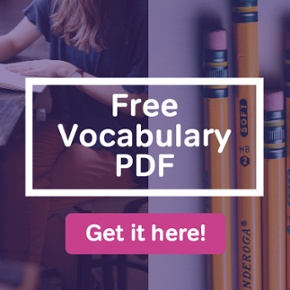 For anyone who’s considering the TOEFL as an IELTS alternative, Kate has written a good side-by-side comparison of TOEFL vs. IELTS over at the Magoosh TOEFL Blog. i got in listening 7.5, reading -6.5 writing 5.5 and speaking 7 ..plz suggest me whether i shall go for eor as i want 0.5 band more in writing .. If you truly need a 6 or higher in IELTS Writing and will be disqualified at your current 5.5 score, a rescore couldn’t hurt. 0.5 is a small increase, and a rescore, if successful, just might get you there. However, as mentioned in this article, rescores are slow and are not absolutely guaranteed. So if you get a rescore, I also recommend preparing for a retake, just in case. I got L 7.5, R 8,5, s 6,5 and W 6,5. Can you think it could be useful to present a rescore. This is the third time I presented it, and with the rescoring process I got a .5 increase. However, if you are no confident with the final result, what is your experience about affording the score in a second time? Hi , I just received my scores of the IELTS General training. They are listening 8, reading 7, writing 6.5 and speaking 7. Even though my lowest score is writing, I’m very sure that my reading should be higher. For taking the exam, I had to travel to Peru from Bolivia because we don’t have IELTS in Bolivia. So based on my situation. 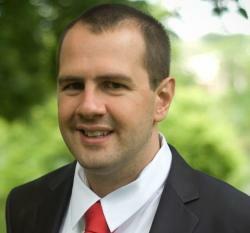 Do you think that asking for a rescore could be feasible?. Is it possible to get an 8 from 7 in reading? Please, I would like to know your opinion. My scores are as follows, i need 6.0 in reading can i apply for re-evaluation in reading. It’s very rare for a re-evaluation to change your Reading score, since IELTS Reading is scored by answer key, not by human judgement. You certainly can apply for a rescore, but there’s a good chance your score in Reading will remain the same. My overall band iis 7 (L-8.5, R-7.5, W-6.5, S-6), most of the university want 6.5 in each section, Should I apply for rescore? My overall band score is 6 (L 6.0 W6.5 R6.0 S 5).I need 5.5 each so should i go for rechecking my speaking ? Hi. Good day. I just found out my IELTS results under Academic Module. I got the following scores: L-8.0, R-6.5, W-6.5 S-7.5. I think all is fine except for the writing. I need to get at least 7.0. Do you think it is reasonable for me to request for a re-mark? Need 7 in writing. Should i go for rescore? i got 6.5 in writing and speaking exam last November. I immediately book for a re-mark after receiving the result since I need 7 in speaking. The guy in BRitish Council told me that it will take 6 weeks. This is my 7th week and until now i haven’t receive any news yet. Is there a chance for me to get the score that I need? How long does the remark process take? Have you received the results? Hi. I appeared in IELTS test on 16th Dec 2017 and i got following score. I need 7 in all modules. I performed reading module better and hoping for getting 7 band. Shall i go for re-evaluation? How much is the success rate for chnage to 0.5 band in reading? Please guide me. I had given my Academic IELTS at IDP – fourth time ( Earlier three times with BC) India and got my results. I am thinking of applying for remarking. All my 5 mentors are suggesting to apply for remarking. I badly need 0.5 in writing to get 7.0 in writing. I was getting 6.5 in writing all my previous three attempts. Can you please provide your inputs considering the past history and success rate? Also I heard that if some of the scores EX: Speaking, Listening etc are high, there is more chances of getting success in remarking in other areas. Ex: Writing. Looking forward your reply to proceed further. I’m afraid we can no longer provide personalized advice for rescores. I recommend that you look through the comments on this blog–there are many students who have been in your same situation. Hi, I got my results as: L:7.5,R:7.5,W: 6.5 ,S:8.5. I NEED 7 IN WRITING,IS THERE ANY CHANCE TO ACHIVE 7 IN WRITING .WOULD YOU RECOMMEND FOR REMARKING. I am planning to apply for remark in Writing. I got W-7 twice in my previous attempts. Shall I apply for remark or I should go for retake? I received my IELTS test result today. I am very shocked at my speaking result as my speaking test was good and I was expecting at least 6.5 or 7 but unfortunately, I got 5.5. I need at least of 0.5 increase in speaking for university admission and I’m thinking to get my speaking remarked. In my opinion, the marking style for speaking and writing is unjustified because 5 years ago I scored 6 in speaking and in these 5 years my English speaking ability has definitely gone higher. what do you recommend 0.5 band increase is possible in speaking module. Apart from that If I consider my writing to be remarked as well but I’m worried what if they give a decreased score. Is it true that you can also receive a decreased score? Writing 8.0, and speaking 6.5. I need advise on whether I should go request a remark on my speaking part. I need a 7 band. Hii sir my score is l-6.5 r-6.5 w-6.5 s-7 I need 7 in writing.can I apply for reevaluation? Anyone can give some advice whether I should go for remarking or not! I just got my result today. I need writing 7. Actually, I have prepared a lot for my writing and last time I could get a 6 in my writing. ****** I need only a 6 in writing! Should I go for remarking? I took iELTS 2 weeks ago and my result just came out! L: 9, R:8.5, S:8, W:6.5! I was highly disappointed when I saw my writing band score! Devasted actually! I have written two scientific papers in english and both of them were well recieved! I immediately filed an appeal! I just need half a point So it’s worth a shot! did you got your result after revaluation? I scored in IELTS GT L:8.5 R:8 W:6 and S:7.5 last time my writing score was 7.However, I felt I wrote better than my previous attempt. Do you think I shall go for a Re-check ? i am disappointed because of the scores of reading as i was pretty much sure about my performance. Should i go for a re-check or a test again? Can re-evaluation be requested for only 1 section and not all ? Is there a possibility of band being reduced after re-evaluation ? On the Enquiry on Test Results Form, you can choose which sections you want re-scored, but the fee is the same regardless. So, you can request that they ONLY re-evaluate your writing score, but you would still have to pay the full $60. It is also possible that your score will go down or stay the same if you ask for a re-score, which is why we recommend that you only go for the re-score if you are pretty sure that your score should have been higher than it was. There is absolutely no guarantee that your score will increase! When you ask for a re-score, you must be ready to deal with whatever new score IELTS gives! For an increase of just 0.5 points, it doesn’t hurt to request a rescore. A small change of half a band point is more likely than a bgger change. Remember, though, that no change is guaranteed. I got my ielts result . Hey I just got my results today with IDP. I am thinking of getting a remark. What do you think? It’s frustrating because I took the official IELTS pretest twice and scored 7 in writing but now, I don’t understand why I just got a 6.5. I will retake the exam again this April, this time with British Council. We generally can’t provide advice on whether or not a student should re-score their test. However, I wanted to point out one thing here: if you are planning to retake the IELTS, it may not make sense to have your test re-scored. Rather, focus on what you can improve in writing the next time! I am totally confused whether I should go for remarking or not. Whenever you’re just 0.5 short of what you need in Speaking or Writing, a rescore might work. In your case, I’d especially recommend it, since all of your other section scores, besides writing, are comfortably good. Hi i wrote ielts 3 times and i got 6 in speaking for first 2 times with overall band of 6. In last attempt i got overall band of 6.5 with R&W 6.5, L 7 and speaking 5.5 I just need in 6 in speaking. Do u think Revalution will help me. Hello, i got the following scores. Do you think I should send it for rechecking as i need 7.5 in each domain. I have scored my IELTS result today. I am not convinced by my speaking test as I got last time 7.5 in speaking. I am thinking to rescore my result. Please advise me for the same. I am terribly disappointed with the results of writing. I had practiced so much and I think I did well in the exam. I need at least a 7. Unfortunately it was my third attempt, but still I wasnt successful in getting a 7 each. Should i get a recheck? If you absolutely need a 7 in IELTS Writing, a rescore couldn’t hurt. But raising your score by a full band is unlikely upon rescore. It’s not unheard of, it is possible, but it’s not as likely as a 0.5 increase. You also need to consider the fact that you’ve been getting below 7 in Writing consistently. That makes it more likely that your current Writing score represents your true level, and doesn’t represent a mistake that can be caught in rescore and result in a higher score. With that in mind, I’m definitely sorry to hear you keep working toward that 7 in Writing without getting there. That sounds frustrating and disappointing. In addition to considering a rescore, have you tried hiring an IELTS tutor or getting IELTS feedback from a teacher? You may also want to carefully check out the official IELTS Writing Task 1 and IELTS Writing Task 2 rubrics, if you haven’t already. 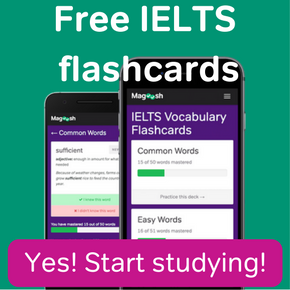 And Magoosh’s own complete guides to IELTS Academic Writing Task 1 and IELTS Writing Task 2 may help you reach a 7 on a retake as well. If I’m understanding correctly, you need to boost your Writing score from a 4.5 to a 5? When rescores do successfully raise a section, the section usually raises by a small increment, such as a half-band. So I’d say requesting a rescore certainly can’t hurt. With that said, getting in some additional IELTS Writing prep and retaking the exam would also give you a good shot at a 5.0 in IELTS Writing. So I recommend requesting a rescore but also studying for a retake while you wait for the rescore results. If the rescore doesn’t do what you need it to, then a second sitting of the exam probably will. I have done well in my Ielts exam, despite my hard work, I got only 5.5 for speaking and 7.5 for all other modules. But, I’m very confident that I spoke well for my speaking test… I’m very confused. Shall I go for a revaluation???? I’m afraid we can’t provide any advice besides what we already wrote in this blog post! This is a personal decision that you must make based on your own circumstances and testing experience. Good luck! I’ve got my IELTS general score few days back. I need atleast 7.0 in writing. Is it advisable to go for a recheck? If you’re short by just half a band, you have the best possible chance of having a successful rescore. So you may want to consider asking for one. Of course, an improvement of half a band is also something you have a good shot at getting if you resit the test. So if you ask for a rescore, be sure to also study for a retake, in case your rescore isn’t successful. Guys, ielts exam has become a business nowadays…….. I suggest you all to go for EOR, if u think something is not right with your marks. My speaking test was really good. Will there be a hike by .5 if I go for reevaluation. Also, are there any instances of having a change occured in the results? When rescores are successful, you usually do see a small hike, such as a 0.5 increase. And there certainly have been instances where students have been able to improve their Speaking score by half a band in rescore. So this may be worth a try for you. While you wait for your rescore, though, I would recommend also starting your studies for a retake. that way, if your rescore is unsuccessful, you’ll be ready to resit the exam. Either way, I’d say you have a good chance of boosting your speaking to a 7 in the near future. I’ve got my IELTS academic score. I need atleast 6.0 in listening. Is it advisable to go for a recheck? Listening and Reading questions have just “right” or “wrong” answers, not rubric-based grades like Speaking and Writing. Because of this, rescores for Listening and Reading almost never change. So while a rechech of your score wouldn’t hurt, it probably wouldn’t be helpful either. Hey i got 7.5 in listening, 8 in reading and 7 in listening. however, i got a 6.5 in writing which was disappointing since i worked the hardest for it and i am pretty good in english. I got an A in my GCSEs. i require a minimum of 7 in all components. Should i apply for a recheck in writing or not? Because you only need an extra 0.5 on your Writing band, and because your English ability seems pretty strong overall, I’d say you’re a good candidate for a rescore. Of course, even good prospects are far from a guarantee of success, so I also recommend studying for a retake in case you need one. Either way, I’d say you have a very good chance of getting our Writing score to a 7 soon. Chanced upon this site and I think it has some pretty amazing information. Just got my results. Quite disappointed at my writing results especially since I have been using a high level of English for several years. Can anyone please advise if rescoring is a good option in my case? Also, would high scores in other areas have any bearing on the revaluation? First off, congratulations on your impressive scores in Listening, Reading and Speaking! Secondly, and unfortunately, your scores int he other three sections won’t be considered during a rescore process for your writing. In general, rescores tend to result in a slight score increase, by 0.5 points or 1 point, most commonly. So if you need higher than a 7 or 7.5 in your writing, I would advise simply studying for a retake. And if you do decide to go for a rescore, I’d say you should still study for a retake, in case your rescore is unsuccessful. I know that the decision of whether or not to go for a rescore is a tricky one, and I’m afraid we can’t provide any more advice that what we already wrote in this blog post. I will say, however, that it IS possible for the score to decrease, though it doesn’t happen very often. When you go for a rescore, there is no guarantee that your score will increase. My score is L8 R7 S6.5 W6.5 I asked for EOR on both sections Speaking and Writing. Is it possible to get a higher score in both of them by half a band each? May I know if going for reassessment of Reading section will help or not at all? I would be more than grateful if you could advice me on how to improve my writing and speaking in order to get band score 7. Is it true that recently the standards or assessing writing have been considerably changed? I would appreciate if anyone can help. Moreover, if anyone who has been awarded 7+ in Writing, please send me your samples. My score is L-7, R-7, S-6.5, W-5.5. I am very sad on seeing the result of writing part. I want 6 band or higher. Can I apply for EOR? Please suggest. Can i go for rescore for speaking? I got my results today and i scored L 7.0, R 7.5, W 6.5, S 6.5. My requirement is 7.0 in each module. Is it possible that 0.5 band score will increase in writing and speaking after reevaluation. Kindly suggest whether I could apply for EOR to see a change in my Speaking score? I need minimum 7 in all. Should I take a risk of remark. I was a bit distracted during the writing as the examiners took to much time before giving and extra paper to complete task 2.
i got R 6.5 L 6.5 W 6 S 5.5 can i apply for reevaluation.. do you think my speaking scores would be increased by doing so. i need 6 each? i need .5 increase in speaking. I’m afraid we can’t provide any more guidance than what we already provide in this blog post! I encourage you to read it carefully as you make your decision! Good luck! AS PER BC IT WILL TAKE 12 TO 14 WEEKS TO REMARKED. This is my 7 attempt to GT IELTS. I AM PRETTY SURE OF GETTING 0.5 BAND AND REASON behind is That I spend 5 minutes to recheck the spelling mistake and other things in task 1 and task 2. Before I have never rechecked in any attempt. I’m afraid we can’t provide any more guidance than what we already provide in this blog post! I encourage you to read it carefully as you make your decision. Good luck! hey! did your score increase in re-val? I have applied for a remark of my writing already. However, a friend has discouraged me from taking another test while awaiting the result of the remark because he said if i do not meet the required in the latter(the new test) and my remark (former) is upgraded, the former will become useless since its the most recent result that will be used. What do you advice sir? Thanks for reaching out to Magoosh! The IELTS scores are valid for two years, and you can choose which scores are sent to your institution. You can send up to five score reports (TRFs) for each test that you take. So, if you wait to send the TRFs, you can choose which TRFs to send to the institution (for example, you can choose to send the remark instead of the retake, if the reamark is a better score). You just can’t combine scores from two different tests. However, you should contact our universities to be sure that they will accept the scores; some schools may have policies that require you to send the most recent score, or all scores. Hi! I took the IELTS exam last 5 May as a second attempt and I got overall score 7, S-7, L-7, R-6.5 W-7.. I am considering to request for enquiry on the reading part as I need 7. Is it possible to get a half band score? My last score on IELTS was S-7, L-6.5 , R-7, W-6.5.. I am applying for PR for that i need 7 in Writing. DO you think i should go for re evaluation or just retake the test? Hi, My scores on recent IELTS test was L9 R8.5 W6.5 S6.5 , but require at least 7 in all areas for my PR. Do I stand a chance to get 7 in both Writing and Speaking if I give for rescore? I know it’s stressful to be so close to your target score without reaching it! I’m afraid we can’t provide any more guidance than what we already provide in this blog post! I encourage you to read it carefully as you make your decision. I also recommend contacting your school to see if they can provide any guidance. I was quite devastated with the result; cuz i need 7 for each module and i thought i did pretty well in speaking. I actually am preparing to take another test again on May 23rd and at the same time, considering to submit EOR. What do you guys think? If you’re confident that you did well enough to earn a 7, maybe if you have taken the test before and got that score then I suggest for a re mark if you have the resources (money). I also had my speaking test remarked recently for I got a 6.5 when I needed a 7. After the recheck my score went up to 7.5, a 1 band increase in speaking. A full band of improvement upon rescore! That’s awesome, Flo! And yes, I agree that if you have done better in a section previously, that’s another good reason to ask for a review of your score. If the rescore returns a lower score than the original one, do they lower the final marks? Yes, it is possible for your score to decrease when you go for a rescore. It’s not very common, but it is a possibility that you should be prepared for! I just received my IELTS yesterday: I got a L:8.5, R:8.5 S: 8 and W: 6. The last time I took the test I got a 7 in writing and was not able to finish it. I need a 7 in writing should I rescore? Hi i appeared in ielts on 24 may 2018 nd got lis6.5,read5.5, speak 6 nd writing6.5.But i needed s6.5. It was my 2nd attempt before i got lis6,read5.5,speak6.5,writing6.Should i go for EOR plz reply i cant decide??? Rescores are most likely to b successful when all you need is a small score increase. In your case, all you need is a 0.5 boost to your Speaking score. So a rescore may be worth trying. Bear in mind, though, that when all you need is a small boost, a resit of the exam will often also bring success. So recommend studying to take your IELTS again while you wait for your rescore. that way, if your rescore isn’t successful, you can try to boost your Speaking score in a different way. I need atleast 7, should i go for remark or rescore? I believe my performance in these sections was bettrr than before. Should I go for Reval ? Should i request for a re-mark?! Hi I’m Jaybee. I took my exam last June 2,2018. I need guidance wether to have my results be re-evaluated. Listening:8, Reading:6.5, Writing:6.5 and Speaking: 6.5. Just need a boost (.5)in writing and speaking. Previously, I had 7.5 and 7 respectively. Thank you in advance. I need 7 in each module, shall I go for reevaluation? I took my 2nd IELTS exam in Baguio, Philippines last April 2018 (my first take was way back 2010) and here are my results: L 9, R 8, W 7, S 6.5. Thank God He gave me what I needed to pursue with my dream. Guys if you feel you did well enough to earn the score you need, I think it is worth the shot of having your scores re marked like what I did. Trust the process and more importantly pray and have faith! I needed 7 or more in each section. I tookthe test on Febrery 1st, 2018. I am preparing to take it again in September. Do you suggest I ask a rescored??? Is it too late?? Hi, i got L8, R7.5, S6, and W5.5, I really need 6 in each but i don’t have enough time, what should i do? Since you need a 6 in each section and you have a 5 in Reading (where a rescore almost never changes your score), asking for your exam to be re-evaluated probably won’t help. While a rescore won’t hurt, I really would advise finding the time to do a retake if at all possible. If you absolutely don’t have time for a retake, a rescore certainly won’t make things worse, and has a chance (but a very small chance) of making things better. Should I go for revaluation…?? That depends a lot on how much you need to improve your Speaking and Writing. Re-evaluations are most likely to be successful if you only need to boost your score by a half band or just one band. And your decision also depends on whether or not you think there may be a real grading error. If you’re fairly certain you did really well, better than your band score indicates, that’s another good reason to request an IELTS rescore for Speaking and/or writing. As for your fears about the retake, my advice is to not be afraid. Your TOEFL scores, other than your Writing score, are all quite impressive. You go more than the required 6 in the first three sections. With your strong English skills, you probably can get the scores you need again in Reading, Listening, and Speaking. I also believe your language strengths can allow you to get up to a 6 or higher in writing if you work hard and study for a retake. In fact, I would say that resitting the IELTS is more likely to get you the score you need, compared to your chances at a rescore. So my final advice is to try your luck with a rescore, but also start studying for a retake while you wait for the rescore results. You can always cancel the retake if your rescore is successful. And if your rescore doesn’t work out as you’d hoped, you’ll still be on track to a passing score because of your studies. Hi, i have taken IELTS second time and i got R-6.5, L-6.5, W-6, S-5.5 . In the previous IELTS exam i got 6 in speaking…. but this time it really went good. Therefore i want to apply for re-evaluation because i need atleast 6 in each module. Please reply!! I’m afraid that we can’t provide any more advice than what we already wrote in this blog post! I encourage you to read it carefully and go through the comments as you make your decision 🙂 Good luck! I require only 6 band in writing. Is it worth it to fill revaluation coz i do have a doubt about 230 words in task 2 rather than 250.does it makes a significant difference. Because 230 words is noticeably below the 250 word minimum, that can make a significant difference. While a rescore couldn’t hurt, there’s a chance your lower word count will mean a lower score even after score review. As we mention in the post, there is a chance to improve your score by .5, but it’s not guaranteed. I recommend that you read through this blog post carefully before you make your decision. Good luck! Helo.I’ve given IELTS exam and i got R-7,L-6.5,S-6.5,W-5.5 and i have filled for reappear in exam but i want to know that should it will be okay to get rechecked my writing because i want 6 each in every module..!! I think I should’ve scored more in Writing module, and I want to go for a recheck as I need a .5 difference in it. Just want to ask about the time taken by BC in case a single module (as compared to all modules) is only asked for rechecking. The IELTS website says that rescores are completed in 2-4 weeks. While it’s possible that rescoring just one section would be faster than average, the IELTS website doesn’t actually say that a one-section rescore is faster. So to be on the safe side, assume your rescore could take up to the four-week maximum, even if you’re only having one section reviewed. Kindly share your experience as am also on same page and bit worried about this. Hellow. I got 5 in the reading but I need 5.5. Can I go for reevaluation? please guide me. Rescores in the IELTS Reading section are seldom successful. This is because IELTS Reading questions are all multiple choice or short answer. So there’s not much room for misinterpretations or mistakes on the part of scorers. Unless you’re very sure that the scorers made a mistake, my advice is not to ask for a rescore. Instead, just study for a retake of the test. A 0.5 band improvement is a small one, so there’s a very good chance that if you prepare well for a retake, you’ll get the 5.5 you need. My husband Ielts score is L-8,R-8.5,W-6.5 and S-7.5. We need 7 in writing and are considering re-evaluation. Kindly suggest if we should. I would say your husband is a good candidate for re-evaluation. Rescores are more likely to change Writing scores, compared to other parts of the IELTS. And when a rescore is successful, it usually raises the socre just a little, by a half-band. And that’s all you need! Still, remember that no rescore is 100% guaranteed to be successful. Your husband should be ready to retake the exam in case the rescore doesn’t do the trick. I require 6 in writing only ..but i have a slight confusion that i wrote 230 words in task 2 rather than 250.. Task 2 is supposed to be a minimum of 250 words. Because you were below the minimum, that likely hurt your score. Not meeting the word count rule will hurt your score even if your writing is otherwise good. If you request a rescore, your rescore might be successful. However, your 230 word count could also possibly be the reason your score was low this last time. If that’s the case, then a rescore will simply not work, no matter how high quality your writing was. Can i improve my score in writing from 5.5 to 6 because I am sure about myself. If you’re really sure that you should have gotten a 6 in Writing, and that your 5.5 score is a mistake, I’d say a rescore is worth a try. Rescores are especially likely to be successful in Speaking or Writing. And a 0.5 improvement is small, just as rescore changes are small. As I’ve told some other commenters, though, rescores are never guaranteed to be successful. So be ready to retake the test in case the rescore doesn’t do what you want it to do. It’s very rare for an IELTS Reading score to change when a rescore is corrected. And mistakes in IELTS Reading scoring are pretty rare– but not unheard of! If you’re really sure a mistake was made when your Reading seciton was scored, then a rescore might be a good idea. Just be ready for a retake in case your rescore is unsuccessful. Good luck! That depends. Rescores seldom change your Reading or Listening score, and Speaking/Writing rescores, when they are successful usually only change your score a little. (Half a band or perhaps a single band.) If all you need is a small improvement in Writing or Speaking, a rescore may be worth it. Hello, I recently got my results and had R 7.5, L 7.5, S 7.5 and W 6. I need 7 in writing section. Do you think its worth remarking? Hello, I recently got my academic IELTS result and I got R 7.5, L 7.5, S 7.5 and W 6. I need 7 in writing part. Do you think its worth it going for remark? I need minimum 8.0 to achieve my goal. Is it recommended to put my test for EOR. I scored 8.5 in listening last time. I am thinking of putting writing for rechecking. Is it a good idea? i need 7 in writing. Also, on BC site it says it will take upto 10 weeks, will it take that long or is there a possibility that it can come earlier. If all you need is a 0.5 band improvement, a rescore just might be a good move for you, Aarti. It’s an especially good idea if you feel fairly certain that your writing score was erroneously lower than it should have been. As for the re-check turnaround time, it’s possible to receive your score in less than 10 weeks. But don’t count on it. If IELTS says it will take 10 weeks to do something, it often will take that long. I’d also advise using that 10 week wait period to study for a retake, just in case you’ll need one. You’re in a situation where a resore could be successful, but there are of course no guarantees. And a retake also gives you a good chance to boost your writing score y 0.5. From my experience, if you feel you did a great writing or speaking test and you were under evaluated then go for EOR. It happened to me, I had bad score regarding to my expectations. I knew I did better but I had a bad mark. I asked BC for EOR for the writing module and it worked! By the grace of almighty God, within few days BC contacted me about the increase of my mark in my writing test. It was only .5 mark increase but enough for my procedure and good especially for my mood. Good luck mates! Believe in yourselves. Thanks for sharing, Pura. And I agree– if you’re pretty sure you were undermarked, that in and of itself is a reason to seek a rescore! pease help me anyone I need your valuable suggestion. It is so rare for reading scores to change at all that a rescore may not be worth it for you. With that said, It’s not uncommon for Writing scores to increase by half a band because of rescore. So if you’re potentially OK with with getting a 6.0 in Writing, but keeping that 5.5 in reading, i’d say give the rescore a shot, Otherwise, just study for a retake. I need at least 7 across all subjects. Should i go for a remark? Thank for your advice! With a writing score as low as 5.5, a rescore isn’t likely to be successful. Most successful score re-checks result in an increase of 0.5, or 1 point at the most. Instead, I’d study for a retake, with a focus on your writing. So what u think i should apply for rechecking? Do I have a chance for a recheck? Unless you’re very sure that you did better than 6.0 in writing and your score was a mistake, I’d actually advise against a retake. Reading scores are almost never changed, and it’s unusual to get a Writing score to change by more than 0.5 So it sounds like a rescore is unlikely to get you the changes you want. Studying for a retake is probably your best shot at getting the score increases you need in both reading and writing. I need minimum 7 in all modules. And i wrote fairly well in Writing section. Should I go for a re-evaluation of Writing? Looking forward to your reply. You said you got a 7.5 in Writing. Did you mean to type 6.5? If so, then it could be a good idea to reply for a rescore. If you’re confident in how well you wrote and you only need a 0.5 band boost, you’ve likely got a good chance. Of course, nothing is guaranteed. So I also advise studying for a retake while you wait for your score review. that way, if the score doesn’t improve in review, you’ll be ready to simply resit the IELTS. Hi! I got my results today. It is LRWS – 8.5, 7, 7.5, 6.5. Though I was not confident of scoring beyond 7 in the Speaking module, I know 6.5 is really not the right score. I have been speaking English everyday as I am in an IT industry since 10 years n I am confident of my Fluency n other parameters IELTS looks at. I took the test from British Council. Is it worth a try, going for revaluation of Speaking section only? Is there a statistics showing the success rate of revaluation for Speaking with BC? Unfortunately, the British Council doesn’t publish rescore statistics. But I can tell you that if you only need your score boosted by 0.5, the section you need a boost in is Speaking or Writing, and you’re pretty sure you did better than your score indicates, you have the best possible chances of a successful rescore. Nothing is guaranteed, of course. But I’d say this is worth a shot. I had applied for revaluation 3 weeks ago only for Speaking from BC. I received my score today and it remains unchanged. To be honest, I had never prepared for Speaking test n probably did not follow their Speaking Test Framework. Sometimes U don’t perform well n still score well in Speaking. But if U don’t practice n don’t score well, then No point going for revaluation. Thank you for sharing your experience, Chang! I’m sorry that your score did not change, but this is an important reminder that the re-score is not guaranteed! L9, R7, S7, W6.5 OBS 7.5… I need 7 in all subtests, should i go for remark? Since all you need is a boost of 0.5 to Writing, I’d say it’s worth a try. That kind of small increase is not uncommon in Writing. (And you’re pretty sur e your essays deserved a better score, that also increases the chances that a rescore reviewer will agree with you.) So I’d say try for a rescore, but also get ready to take the test again, in case you have to. I scored 9/9/6.5/7 in l/r/w/s respectively . Should i apply for reevaluation in writing.i wasn’t able to write in gud handwriting the last part of my essay apart fron that everything else went good? If all you need is a small increase in writing– a 7.0, for example– then asking for a rescore in Writing couldn’t hurt. However, you should also prepare for a retake, in case the rescore isn’t successful. It sounds like you would have a good shot at a higher writing score on retake, provided you can have neater handwriting. I need 7 in Writing and speaking as well. Should I go for a re-evaluation of Writing and speaking? Rescore requests, when successful, typically gain you a half point or a point at most. It looks like you’re in striking distance of of what you need in Writing in Speaking. So a rescore might be worth a shot. If you’re also relatively sure you did 7+ level work in Writing and Speaking and were graded incorrectly, that’s another reason to request a rescore. Nothing’s guaranteed of course! My last score in writing was 6.5 when I had little preparation. This time I literally covered every minor detail about writing and this was my best shot. I was expecting a band above 7.5 in writing. Should I go for re check? And did any re check ever raise a band over 1.5 points? When re-evaluations are successful, the increase is usually by 0.5 or 1. So a rescore may be worth a shot. If you’re also pretty sure you actually had 6.0 level performance in Speaking, that’s another reason to request a rescore; rescores are after all designed to catch and correct scoring mistakes. I disputed today for writing and speaking. Is is possible to get 0.5 higher score for both or usually it is for only 1 band. Do I have a chance to get 7 for both writing and speaking? If you send in your results for a re-score, both sections will be evaluated again independently. So, it is possible that both will increase, but there is no guarantee. I encourage you to read through this blog post carefully before making any decisions. Good luck! I got overall 7 … L 7.5, R 7.5, S 6.5, W 5.5 and i need 6 in writing……What should i do now suggest me something.? When re-evaluations are successful, the increase is usually by 0.5 or 1. So a rescore may be worth a shot if you think that you performed at a “6” level in writing. Re-scores are meant to correct scoring mistakes, but they aren’t guaranteed to increase your score. I recommend that you read this blog post carefully before making your decision. I scored 8.5 in my speaking test which i gave before.To my surprise it came down to 7 this time despite i think i did even better then last time.Also my writing score is 6.5. I need only .5 in writing to solve my purpose.Do you think it is worth trying going for revaluation? Sorry to hear about those unexpected drops in your score! We see this sometimes when students focus on improving one area of their test…it can be easy to neglect sections that you did well in! I’m afraid that we can’t provide any more information beyond what we wrote in this blog post. I recommend that you read it carefully has you make your decision. Good luck! I need to max out my Writing by .5 to jump my CRS from 438 to 441.I worked on my Writing a lot this time and think it could have been 7.5 min. Do you suggest for an EOR? As you have experienced, there is no guarantee that requesting a re-score will improve your score. 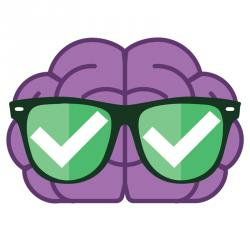 As we mention in this blog post, an EOR might make sense if you are pretty confident that you deserved a higher score, but I’m afraid we can’t provide any more specific recommendations beyond what we already wrote in this blog post. Best of luck! Hii ..Today i got my result listening 7, writing 6.5 , speaking 6 and reading 5.5 nd overall i git 6.5 .Should i go for revaluation in reading and speaking..
i gto my IELTS result today. I am considering re-evaluation. Is it a good idea? I am hoping at least 7 in writing. How often do they change writing scores? A full band increase (5.5 to 6.5) is about as big as the typical increase can be after a successful rescore. Since a one band increase is potentially possible, a rescore could be useful. But be careful! Rescores are most likely to be successful if there was a genuine mistake on the part of the scorers. So it’s best to do a rescore if you think your Speaking might have been graded inaccurately/unfairly the first time around. Otherwise, a retake may actually be a better path to getting your score up to 6.5. Whether you may benefit forma rescore depends on which scores you want to improve, how much you need to improve them by, and whether or not you beieve a mistake was made on the initial scoring. Typically, rescores are most likely to work if you’re looking to make small improvements in Speaking or Writing (0.5 to 1 band increase), and you’re pretty sure you were graded inaccurately to begin with. Is it possible to increase my SPEAKING RESULT up to 7.0 after remark/recheck? I need your opinion regarding my ielts status. Thank you. From my previous exams, I always get a 6.5 SPEAKING SCORE multiples times. Is it possible that remark/recheck may INCREASE my speaking result up to 7.0. I’m planning to do it because of my frustration. I need .5 in speaking. Can I go for revaluation or should I resist again. Pls suggest me. Anybody has good response in revaluation of speaking ? Hi i took The GT test in September and got 8, 8.5, 7, 6 is LRWS resp. since the speaking was low i retook it in October and got 9,9, 7.5, 6 is LRWS resp. I’m sure my speaking wasn’t upto the mark, but i thought I’d get at the least a 7. Should i send a EOR? Is there any possibility my speaking score will change from 6 to 7. My nly mistake was, i guess speaking part was stopped abruptly b4 i could cover all the pts. Otherwise it was not bad at all..
My speaking test was good and I expected above 7, though actual result is quite frustrating. Do you guys suggest for rescore? Appreciate your feedback. I need a 7.0 in the writing module. Should I apply for a recheck for my Writing module or not? Happy test prep day! I’m sorry you fell frustratingly short of your goal. I can’t hurt to get a rescore, but you should be mentally prepared to take on the IELTS one more time. I hope this turns out well for you! 8I took a computerized IELTS exam last week and my score was L8, S8, R7 & W6. I was planning to go for revaluation of my writing score. Please advice. Last time when I gave the exam my writing score was 7. This time I was pretty confident that I’ll score at least 7.5 or 8. I want to consider revualting my Writing test as I am just short of 0.5. Kindly suggest whether I should go for it or not. Overall, both of them 7 but writing should be 6.5 at least. Should I go for a recheck? And which one is the best for a remark? I need a writing of 7. Personally, from what I read in this blog I don’t think I can get it with requesting a remark, right? However, I would like to ask for you guys opinion, Do you think a remark request might add 1 score to my writing? As we write in this blog post, it’s extremely rare to see a full point increase in any band score. Since it takes 6-8 weeks for the re-score to come in, your time may be better spent studying and re-taking the exam, rather than waiting for an unlikely result. The decision is personal, however, and you are the only one who can really make the decision. Good luck! I realise this is relativity old but hopefully someone will be able to give me some insight. I received my results today and got a score of 9 – 9 – 9 – 7.5. The 7.5 was in writing and I must admit, I’m very confused as I’m an English Teacher in Australia and marked my work against the criteria and feel as though the criteria isn’t particularly difficult to do well against. Would you recommend a resit or remark? Thank you. PS. I need 8s. The more confident you are that your score was a mistake, the more I recommend requesting score review. It sounds like you have a keen understanding of English and a very informed opinion that you were given the wrong writing score. I would say a rescore request is a good idea. If you do request a rescore, come back in and let us know how it went, if you have the time! I’m convinced i did better than a 6.5 -W, i was expecting at least 7.0 in writing. I want to request a re-score, do you think i stand a good chance for a 0.5 increase? Should I go for revaluation! If you’re fairly certain that you actually did better in Writing and Speaking on the retake, I recommend asking for a rescore. In that case, maybe a mistake was made, and that mistake might be corrected when your scores are reviewed. However, if you think you might have had similar performance on both tests, then a rescore is less likely to change your marks. In that case, I recommend studying for a retake instead. In either case, it sounds like you’re very close to your goal. Just half a band away from 6 in your two lower sections! Hey Vaishnavi! If you need a particular score for admission, then take the test again! If your score is sufficient for admission and you’d just like an 8, then it may not be necessary 🙂 Remember, the score you need is the score that gets you in. In most situations, if a student is close I would recommend trying again, unless you have other work that needs to get done right away. A test score is just one factor in admission after all. So, go for another try, unless you have other admissions-related tasks to take care of, or you don’t really need an 8 for your programs. To my knowledge, the rescore examiner will be unaware of your core in the other modules. And if a British Council representative confirmed that, then it’s certainly true! The reason– I would guess– is that they don’t want the examiner to be biased. If the examiner looks at your other high scores, they may feel in their hearts you deserve a high score. But it’s better for them to carefully look at your Writing or Speaking on its own merits. As we write in this blog post, it’s extremely rare to see more than a .5 band score increase in any section. It’s particularly rare to see an increase in reading and listening. Since it takes 6-8 weeks for the re-score to come in, your time may be better spent studying and re-taking the exam, rather than waiting for an unlikely result. The decision is personal, however, and you are the only one who can really make the decision. Good luck! I need 8+ in all four sections. Do you think a review would be worth it? Thanks. As we write in this blog post, it’s extremely rare to see more than a .5 band score increase in any section. If you really feel like you should have gotten a higher score in writing, then it might be worth it, but you are definitely taking a gamble. Since it takes 6-8 weeks for the re-score to come in, your time may be better spent studying and re-taking the exam, rather than waiting for an unlikely result. The decision is personal, however, and you are the only one who can really make the decision. Good luck! After your test is rescored, the testing center where you took the IELTS will send you an email. This email will tell you whether your test results changed or stayed the same after the rescoring. If the scores remained the same, then you will receive your original Test Report Form back. However, if any section comes back with a different score, you will get a new Test Report Form from the testing center. If any of the section scores are higher than they were originally marked, you will get a new Test Report Form and your rescoring fee will be refunded to you. WILL it be worth going for revaluation on both speaking and writing..
As we write in this blog post, it’s extremely rare to see more than a .5 band score increase in any section. If you really feel like you should have gotten a higher score in writing and speaking, then it might be worth it, but you are definitely taking a gamble. Since it takes 6-8 weeks for the re-score to come in, your time may be better spent studying and re-taking the exam, rather than waiting for an a result. The decision is personal, however, and you are the only one who can really make the decision. I recommend that you read this blog post carefully before making any decisions! Good luck! Hi, I got my result today with scores of L-9, R-8, S-7.5 and W-6.5. I require atleast a 7 in writing, wondering if I should apply for a re-evaluation of my result. l 6.5 r 6.5 w 6 s 5.5 overall 6 .there is a chance that my speaking scores could improve i need just half band more.In tha last time when i had given ielts test before 2 months i scored 6.5 and again this time i speak very well and i was sure atleast i would score 6 in speaking.. Yes, your score could go down in the re-score. There is no guarantee that your score will increase or even stay the same. That is why we caution students to consider all of these options when deciding whether or not to go for a rescore. Hi, i got 7 in my speaking and 6.5 in previous exam but my current results came with 5.5 in both section. I am planning to apply for recheck but my question is, can I apply for both section in same cost ? If yes , How much time it will take ? Please guide me. The cost is the same whether you request a rescore of one section only or all of them. So, yes, you can have both sections rescored with one request (one payment). Rescores typically take about 6 to 8 weeks to complete. I appeared for IELTS general module on 9th Feb 2019. I got my score as L-8, R-8 ,W-7, S-6.5. I need 7 for speaking. Should i try for re evaluation? Please give me your valuable suggestions. That’s a good question, Komal. Typically, rescores are successful if you only need a small increase in score, and if you feel there is a good chance your initial score was calculated incorrectly. You definitely only need a 7 score increase. So what you want to consider is whether or not your Speaking score may have been calculated incorrectly. If you think there’s a chance you did receive an incorrectly low score, I’d say go for it! If you’re not sure, then it won’t hurt to ask for a rescore (other than time and cost), but it might not help. Should i apply for re-evaluation? Can i get a increase in writing? I’m afraid that we can’t provide any more advice than what we already wrote in this blog post. Take another look at the blog post as well as the comments before making any decisions. 🙂 With that said, it is possible to get a higher score in Writing after re-evaluation, but it’s not guaranteed. Think very deeply about it! Hi, I have appeared for IELTSGT test on 14th feb and score 8.5 in listening, Reading – 7.5, Speaking – 7.5 and writing – 6.5 but I need 7 in writing. Please suggest shall I go for recheck in writing. And are there any chances of lowering scores in recheck?? There is always a chance you could get a lower score in a grading recheck. So the best time to ask for a recheck is if you’re fairly sure that you did deserve a higher grade. If you’re not so sure,t hen studying for a retake may be a safer option. Hi Sir, my result is general Overall 6.5, Listening 6.5. Reading 6 Writing 6.5, Speaking 7. I had 7 for writing (academic) and feel that my writing score should be better than what I received this time. However, I would require better scores in other 2 modules. Will you suggest me to a EoR or Resit? If you need score improvement in multiple sections and not just Writing, a resit is probably your best shot. When you study for a resit, you have much more control over whether you’ll improve across the test as a whole! I got my result today. It’s 8.5,8,6.5,7 in LRWS of ielts academic . I was expecting at least 7 in writing but I got 6.5. I’m pretty sure I wrote a band 7 worth writing section . Is it worth to apply for rechecking as I need only 0.5 increase in my writing section . So i recently gave my IELTS and got the following score: Reading: 9, Listening: 9, Speaking: 8, and Writing: 6. Overall: 8. I need a 6.5 in writing as a university requirement. Would you suggest a retake or a recheck? Considering I do have some time. A recheck is best if you’re pretty sure that your score was given in error. If you really feel that your writing score should have been higher than 6, a recheck may be a good idea. Otherwise, I’d say retake is best. If you have the time to study for a retake and all you need is a 0.5 score boost, you probably have good chances of success! I need a band score of 6.5 and all of the skills above6 and I am sure that I answered reading correctly. I checked the answers with my friends after the exam. As I had very bad handwriting, do you think is it better for me to ask for re-marking? In the case of bad handwriting, a rescore might help, if the new scorer feels like they are struggling with your handwriting less. But bad handwriting could cause you to get the same low score a second time, or perhaps even a lower score. A rescore couldn’t hurt, but it sounds like you may want to study for a retake instead, and include handwriting practice and improvement in your IELTS retake studies. You can appeal your Speaking or Writing scores. And when a rescore is successful, you usually do get a small boost, such as a half-point. So that is definitely one good reason to ask for a rescore. If you’re also fairly certain that your Writing and Speaking scores should have be higher, that would be an additional good reason to ask for a rescore. I need 7.5 in writing. Should I consider re-evaluation for writing? Can it negate the marks below 7 or should I just be contented with this score? It is possible to get a lower mark on a rescore. 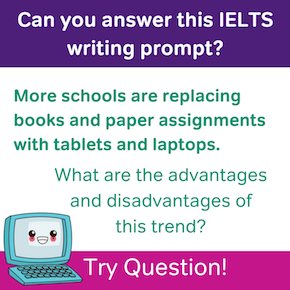 Unless you’re pretty sure that you should have received a higher IELTS Writing bad, it could be safer to just leave the score as is… and perhaps also study for a retake, as retakes are a very effective way to boost your score. I am very confident that I did well on my speaking test but writing I did apply for re-scoring because I had the option but not sure. Anybody’s advise would be highly appreciated. Also, I was told that it takes between 2 and 21 days for re-scoring whereas here it is mentioned 6 to 8 weeks. Please advise which is correct. Also, regarding whether you should apply for a rescore, if you really are confident that you deserved higher marks in Speaking, I would say you should go for it. Rescores are designed to correct those kinds of scoring mistakes!